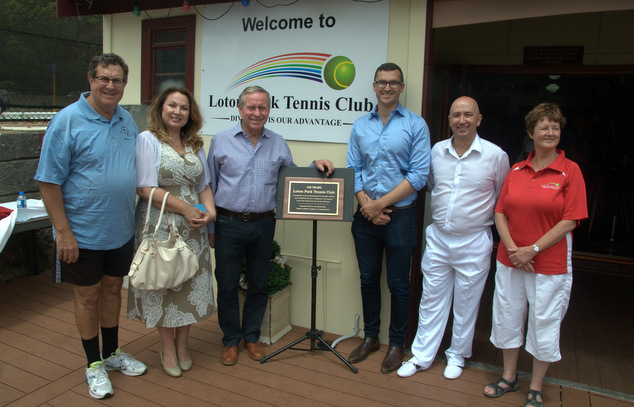 Loton Park Tennis Club marked their centenary and celebrated the completion of their recent renovations with an afternoon tea that reflected on the club’s long history. 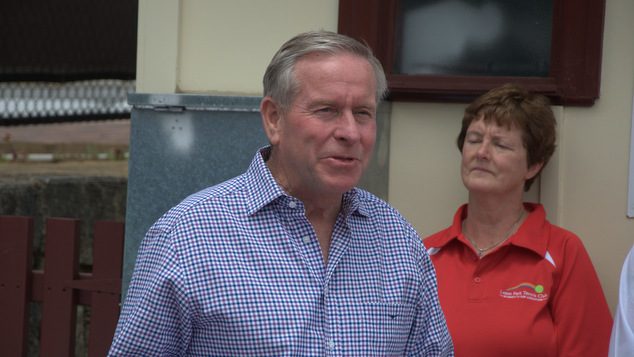 Premier Colin Barnett attended the event alongside local politicians Eleni Evangel MLA and Michael Sutherland MLA, and the Mayor of Vincent John Carey. 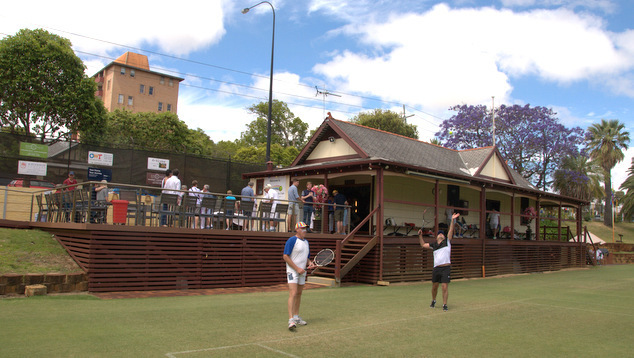 Barnett said Perth was lucky to have so many grass courts and noted the exceptional beauty of the Loton Park club house. 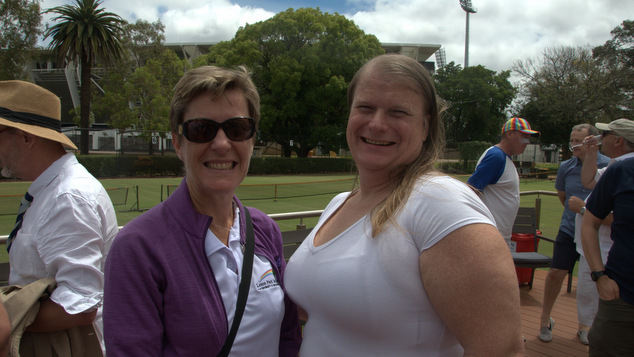 Barnett said sport was a great way to build friendships and community and noted that Tennis was a game that could be enjoyed by people of all ages. 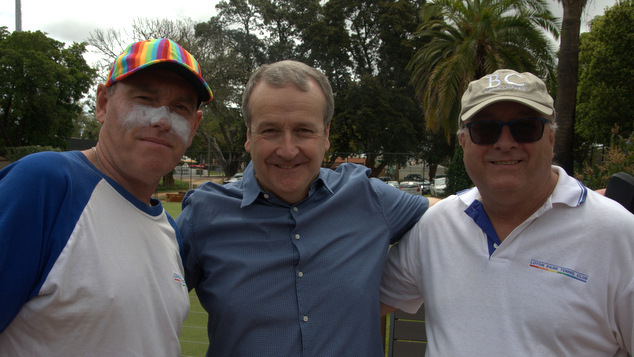 The Premier noted that Michael Sutherland had rocked up at the event sporting shorts and a polo shirt and looked as if he was ready to hit the courts and play a set. 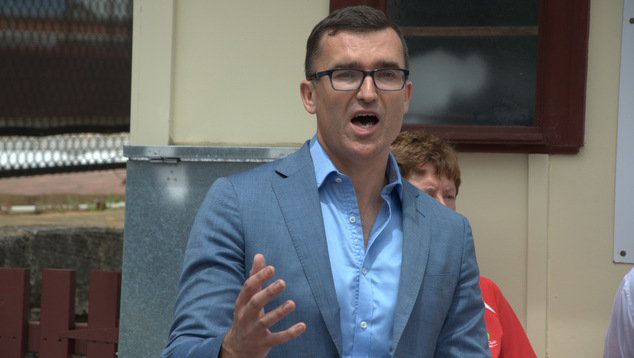 The Premier remarked that the Speaker looked like he was ready to “Show his stuff.” Colleague Eleni Evangel cheekily replied that ‘he already was”. Later the MP picked up a racket and joined in the activities. 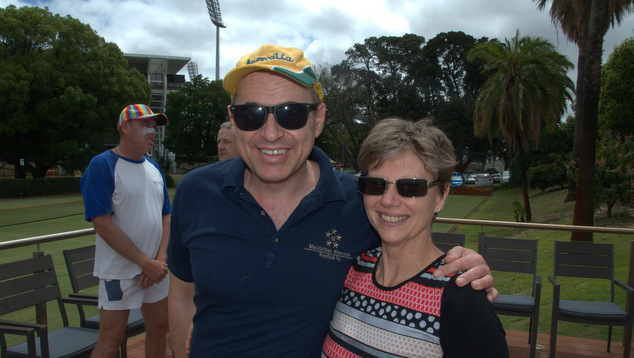 Speaking at the event John Carey highlighted that it was important that safe spaces existed for the LGBTIQ community and how the philosophy of embracing diversity that the club exemplifies is central to the culture of the City of Leederville. 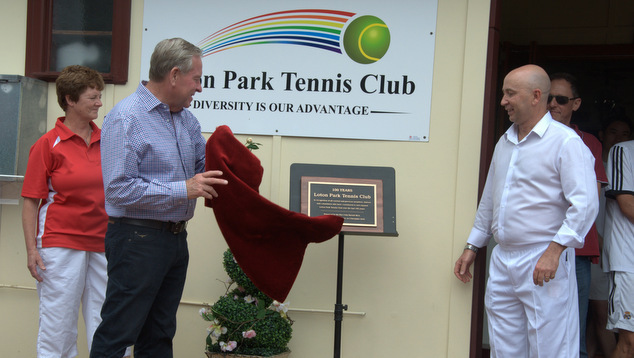 The Tennis Club was built by the City of Perth on land donated by the Loton Family over 100 years ago, In the 1990’s the club revived its membership and fortunes by focusing on the LGBTIQ+ community. Recent renovations to the clubhouse has improved disability access, seen new bathrooms installed and repaired the roof of the building. 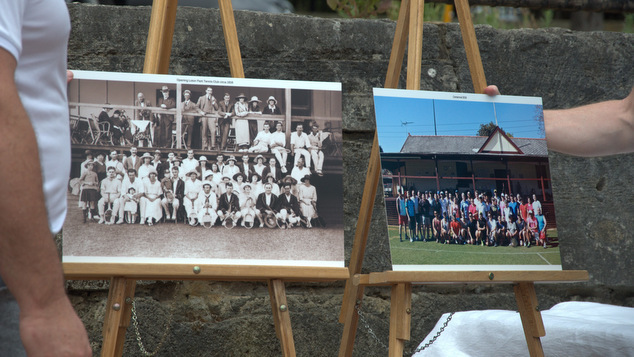 The journey the club has been through over a century was exemplified by the unveiling of two photographs, one taken at the start of the club’s history and a recreation of the same pose shot by the current members almost a century later.